Amazon is working to make life easier for families through the holidays and beyond. With the Echo Plus and Echo Dot Kids Editions, there are so many ways to organize, manage time and organize your holiday! A little over a year ago, we decided to start upgrading our home with more smart features. After getting the Sonos speaker with Alexa, I knew that we would be getting more Alexa enabled devices for our home. 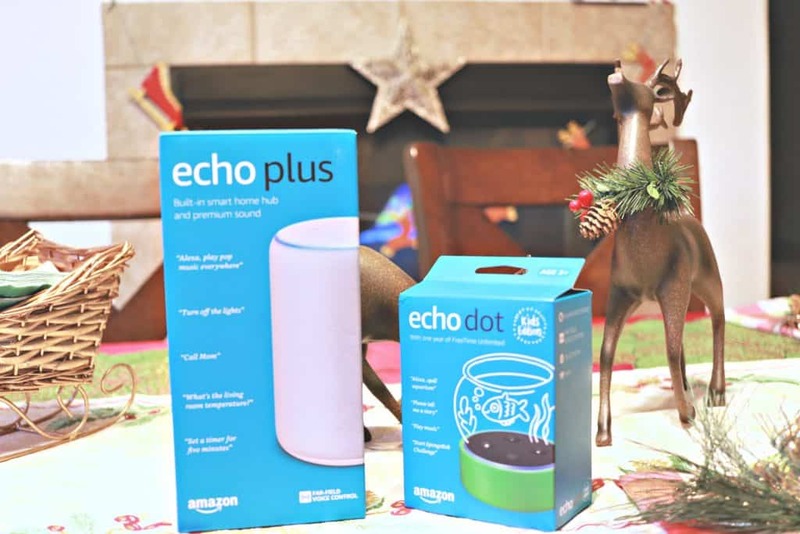 The Echo Plus and Echo Dot Kids Edition were both on our holiday lists this year and Christmas came just a little early. 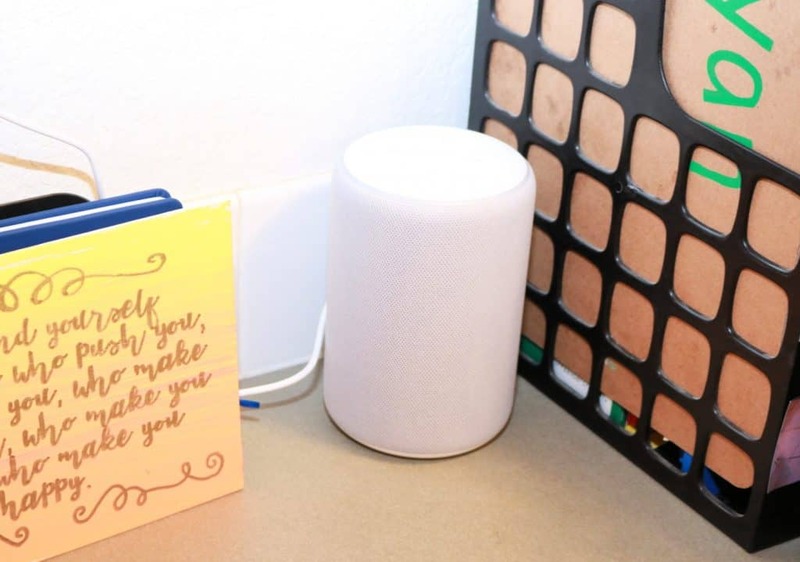 We are no stranger to Alexa and her awesome capabilities as we do have her in our speaker as well as the kids fire tablets, but I was really excited to have a home hub as well as the dots for the kids that we could all benefit from. 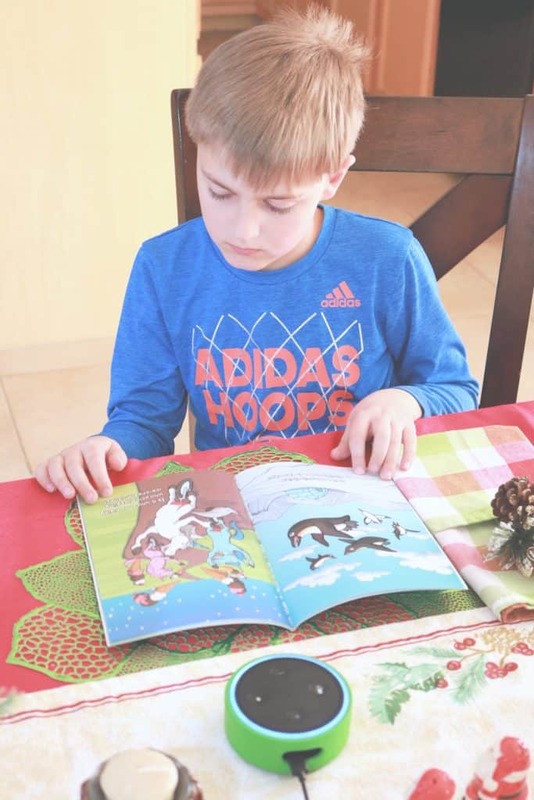 Since setting up our Echo Plus and Echo Dot Kids Edition, we have been using them for everything, from cooking, to controlling our lighting, calendar reminders to homework time and even our letter to Santa! Amazon is really making it easier for us to manage our family calendar, our day to day lives and help with all those extras that can become overwhelming! 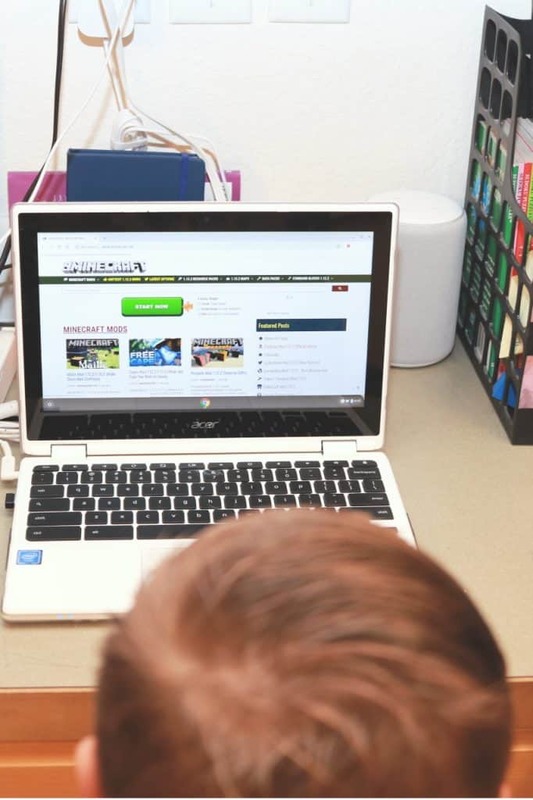 One of the biggest reasons that I wanted to invest in the Echo family of products from Amazon was that I wanted my kids to not only learn to utilize the technology of the future, but also because I knew it would help them to learn everyday skills and habits that are crucial for adulthood. My son was ELATED when the Echo Dot Kids Edition arrived and was ready to start putting it to work. I was elated for him to do so as well. We have spent the last week with our Echo Dot Kids Edition and Echo Plus working on time management and homework help skills. My son will take his dot wherever he wants to set up his reading time for the day and plug it in, then set a timer for his reading. THIS IS HUGE for us, because prior to the Echo Dot Kids Edition, he would fuss and fight with me about his reading time. Now, he just sets the timer, gets to reading and when the alarm sounds he records his reading time and is off to his next adventure. The Echo Plus is set up in our Kitchen area which is the heart of our home. It also happens to be where his computer is and this has been yet another battle. The boy would spend hours on end watching those dang gaming videos and playing them too if we let him. He would often forget to set the timer on the microwave because it wasn’t in his view, so having Alexa right in front of him has greatly improved this habit. Now he sits down, tells Alexa to set a timer for 45 minutes and gets to his computer time. I also love that he is taking responsibility and that there is a no-nonsense aspect to the timer. He knows that when it goes off, his time is over and he needs to move on to something else. 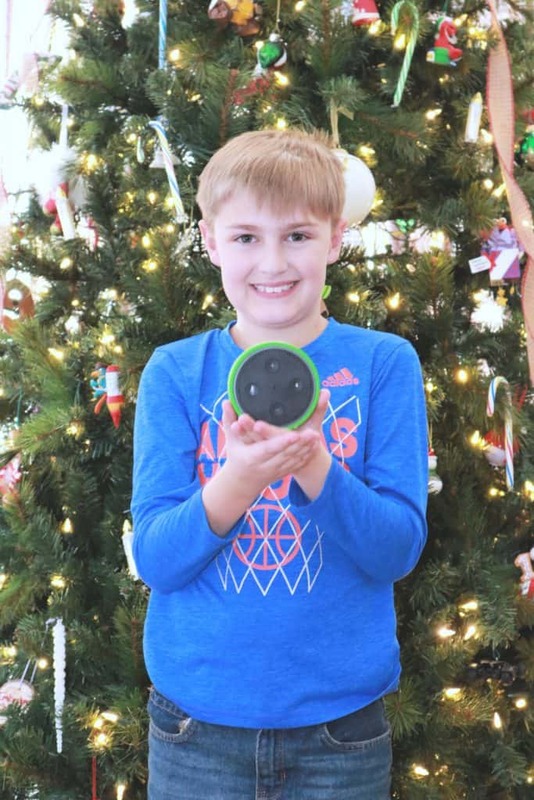 He has been using both the Echo Plus and the Echo Dot Kids Edition to help him spell words, to tell him stories, to check the weather and pick out clothes for school and so much more. It is really great to watch him use the technology to learn and grow and become a bit more self sufficient, while building those skills that are really essential for productivity. The holiday hustle and bustle is just about killing me. You guys, we forgot to write and mail our Santa letters. I had a couple really upset humans over this (especially the little girl because of course, she needed to change her present request). Imagine my excitement when I realized that we could send our letter via Alexa and track it too! 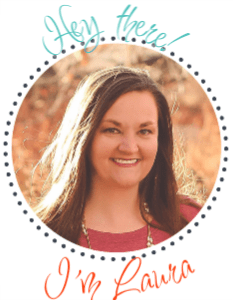 Enter Amazon Alexa Skills and this mom’s sanity saver. I hopped on my computer to set up a couple skills for our smart home devices and saw that you could set up a “Santa Letter” skill. Well, of course I jumped right on that. I had both the kids come over and we composed their letter to Santa. Then I told them that we would send it from our Echo Plus in a moment. I finished checking a couple boxes and then we were on our way. Check the video out below to see how Alexa responded when we got ready to send our Santa Letter. I did cut out the portion with the actual letter in it because it says my children’s names and I do make an effort to keep their names off social media until they are ready to put them out there. My son was definitely nervous about sending the letter and it arriving, but he felt much better about it once he found it arrived safely! Thanks Alexa! Echo Dot Kids Edition & FreeTime! Parental controls can be used with the Echo Dot Kids Edition, very similar to what you can do on Amazon tablets as well. Super simple to select which skills and services your children can access and you can turn off voice purchasing too and explicit lyrics on Amazon Music. A whole year of FreeTime on Alexa! Yes!!! This includes over 300 Audible kids’ books, kid-friendly, ad-free radio, character alarms and premium Alexa skills that kids will absolutely love. We love FreeTime! A kid-friendly case. Like I said, my son is taking his Echo Dot Kids Edition all over the house, with a sturdy case and a 2-year worry-free guarantee you can’t go wrong. Are you planning on purchasing an Echo Plus or Echo Dot Kids Edition? Previous Post: « Adventure Golf & Raceway Holiday Lights in Denver is Awesome!